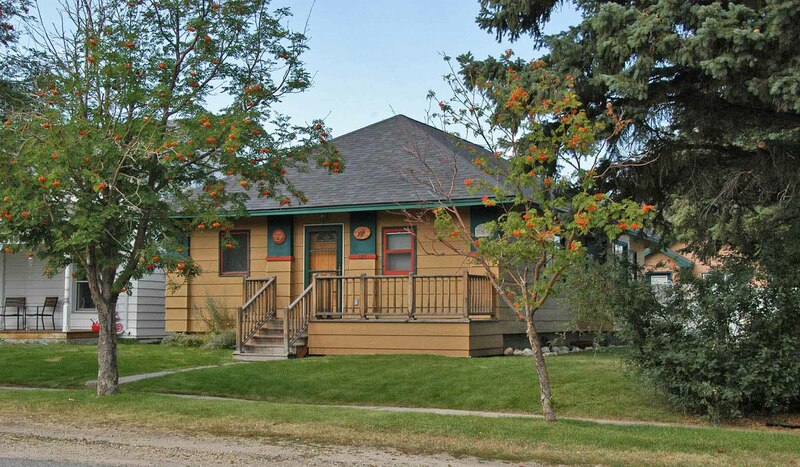 Enjoy this beautiful home and charming guest cottage in the heart of downtown Red Lodge. This is your home away from home. Take a little stroll to go get some groceries, do a little shopping, or to hang in the park. At the end of the day settle in and take a soothing soak in the hot tub. The fenced back yard is great for a BBQ gathering with friends and family. Just in case you want to check in, Wi-Fi is available for your use. The main house is all one level and has a bedroom with a king sized bed, a bedroom with a twin bunk and a twin bed. The living room has a pull-out sleeper sofa. Two baths in the main house. The romantic guest cottage is located through the back yard, is studio style with a queen bed, a full bath, and a gas fireplace.